Nothing grabs attention like a well designed, colorful poster or sign. From events, to construction services, to retail signs, Taconic Marketing designs signs that will get you noticed. 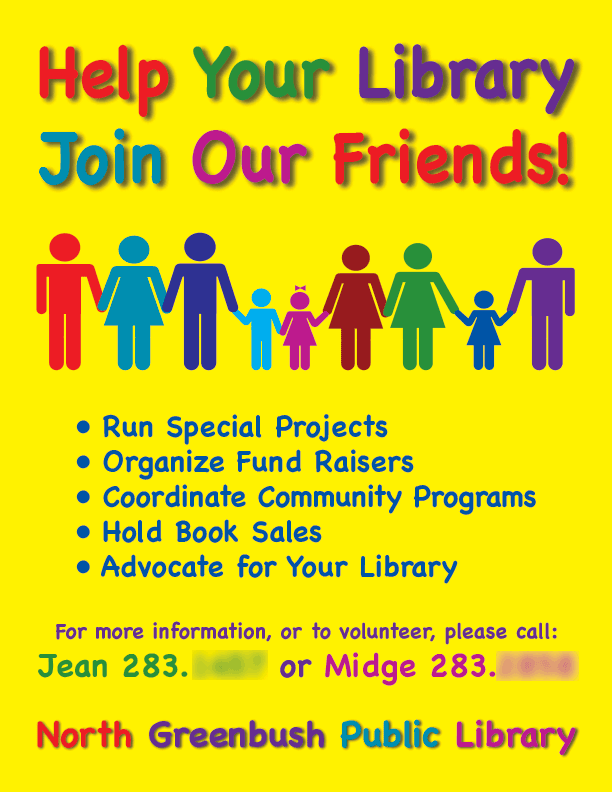 As part of a promotion to encourage participation in the library's Friends program, which provides essential support to the public library, Taconic Marketing designed posters for display in the library and other selected locations. With bright, primary colors and fun stick figure illustrations, the eye-catching posters emphasize fun, community and civic participation. 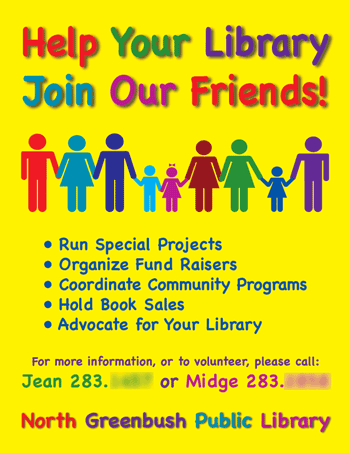 Taconic Marketing also designed a coordinating bookmark. 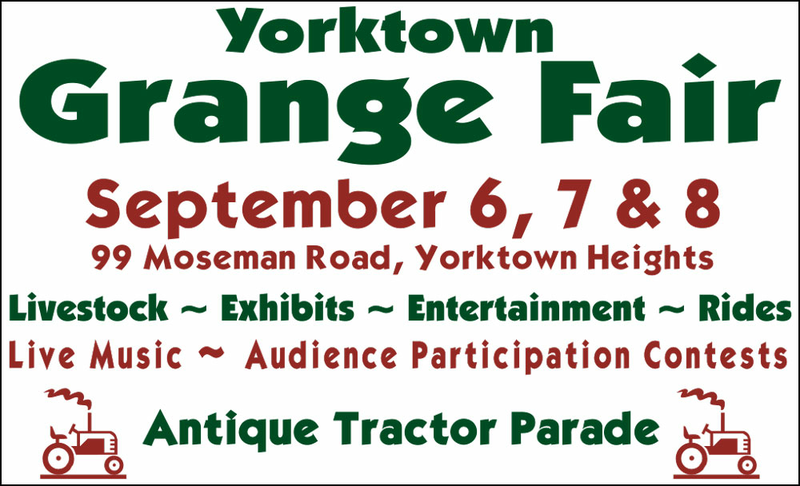 The town of Yorktown, New York has official event signboards at key intersections throughout the town. The signs are custom-sized to fit the 5-foot wide signboards, and must meet municipal specifications. 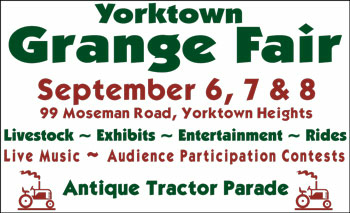 Taconic Marketing reserves the sign locations and designs signs for the fair annually. When you drive past construction work in progress, you will often see signs identifying the contractor. 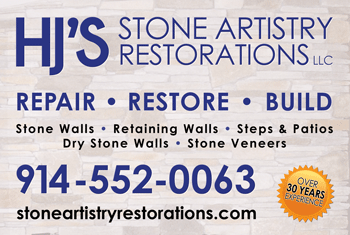 When you drive past work by Stone Artistry Restorations, the quality of the work is truly impressive. 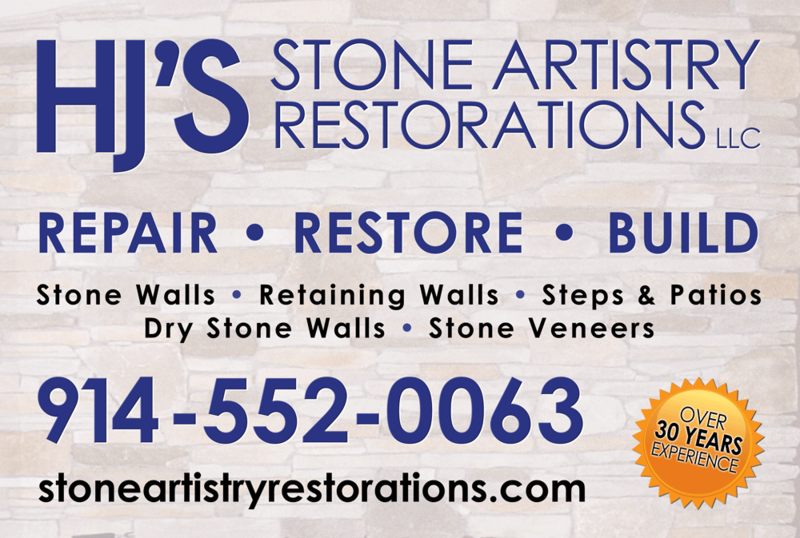 The owner, and professional mason needed a sign to let passers-by know how to contact his company. Sonic Sports is a sports apparel retailer, offering discounted sports apparel and equipment. They use this banner in their retail displays, as well as for events where they provide uniforms and equipment.